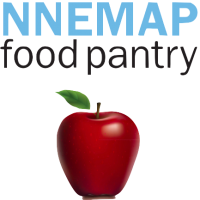 On behalf of the board, staff and volunteers at NNEMAP I want to thank King Avenue for all of the support during 2018. It was a year of continued expansion of services to our neighbors. We grew by 12% with family visits rising to over 16,000. We served the equivalent of 463,000 meals and distributed 750,000 pounds of food. We became a United Way agency for the first time beginning in 2019. We have additional plans for 2019, and we know you will be with us on that journey!